1. 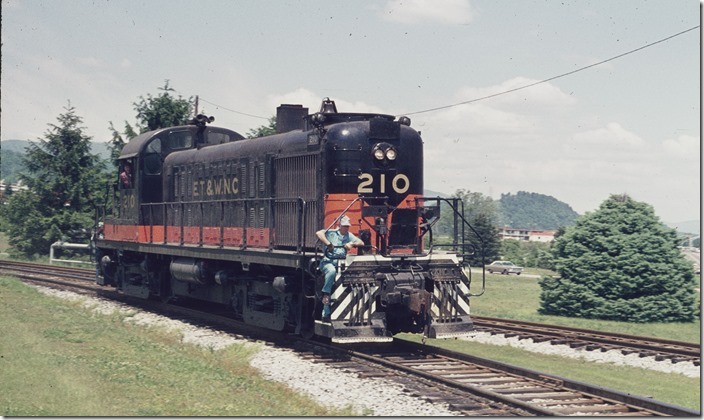 ET&WNC RS-3 210 switching the Beaunit Mills rayon plant in Elizabethton on 05-14-1973. 2. 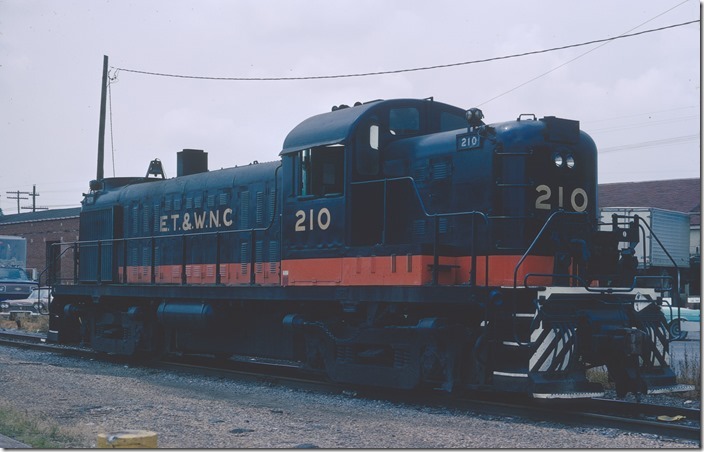 ET&WNC 210 was ex-Central of Georgia 109. View 2. 3. 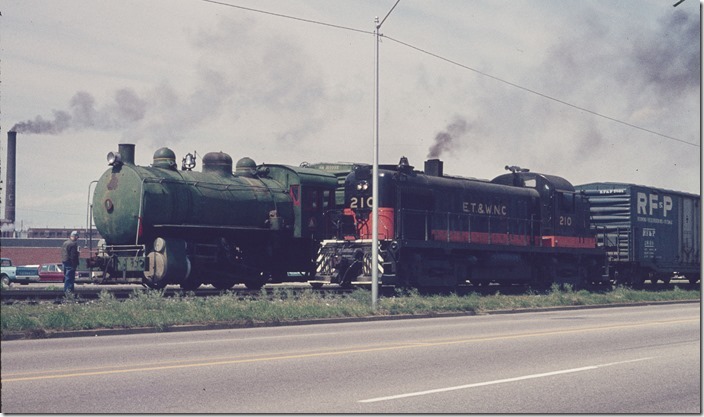 In 1967 ET&WNC received CofG 108 and 109 in a trade for their 2-8-0 steamers 630 and 722. ET&WNC 210, View 3. No. 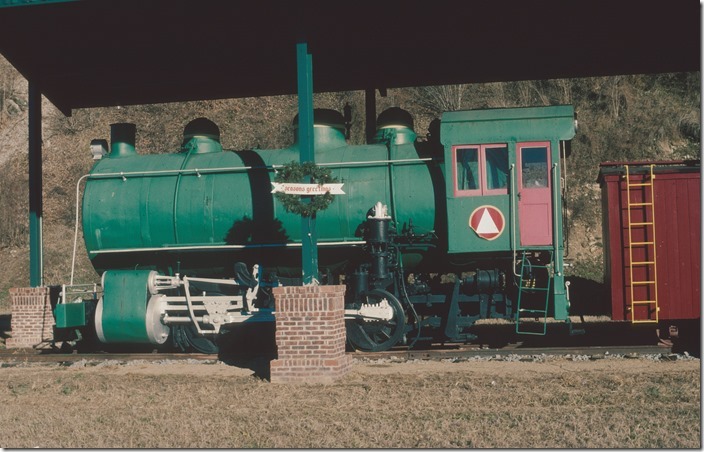 630 is now owned and operated by the Tennessee Valley Railway Museum. 4. 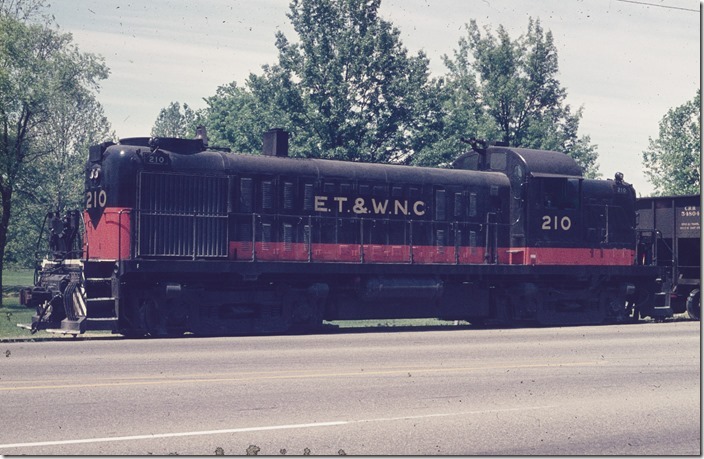 ET&WNC 210. View 4. 5. Beaunit Mills used “fireless cooker” 0-6-0 No. 1 inside the plant because of the explosive nature of some of the chemicals they used. ET&WNC 210 beside. 6. The plant operated under several owners. North American Rayon ordered this engine from H. K. Porter Co. of Pittsburgh in 1936. No. 1 weighed 68 tons and had 28” x 24” cylinders. The rated tractive effort was 25,660 lbs. 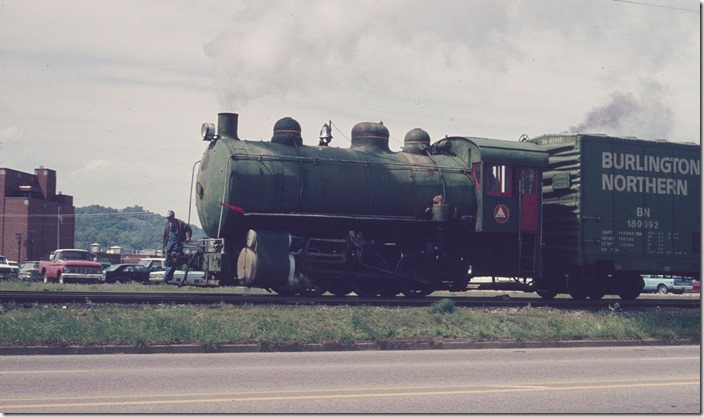 C&O used a couple of these to switch chemical plants in South Charleston WV, making them the last steam locomotives used by the C&O. 7. 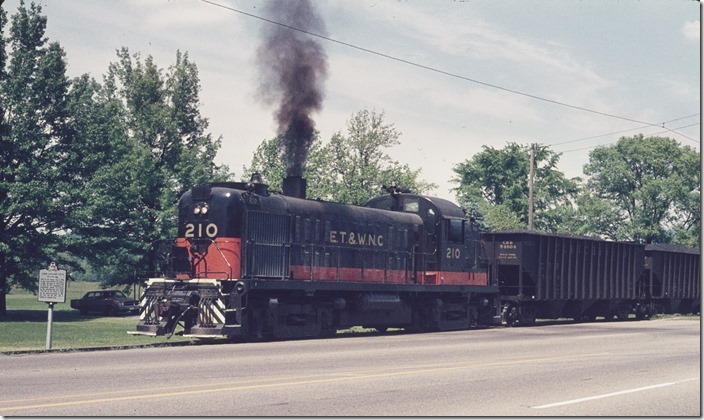 ET&WNC 210 was in Johnson City TN on 07-21-1973. 8. 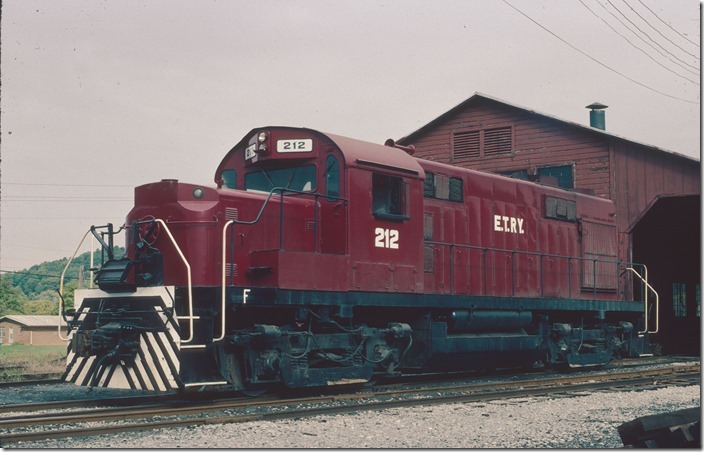 Mac Connery took this shot of RS-32 212 in Johnson City TN on 10-03-1985. 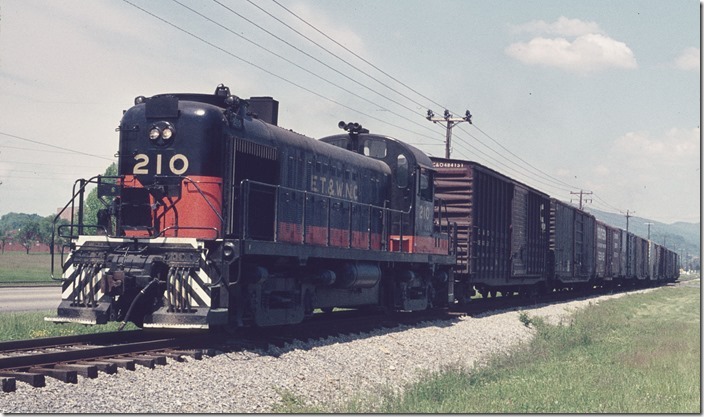 By this time the ET&WNC was called the East Tennessee Ry., which it is today. The rayon mill at Elizabethton closed in 2000 after a disastrous fire. 9. No. 1 is now on display at Elizabethton. 12-27-2003. 10. 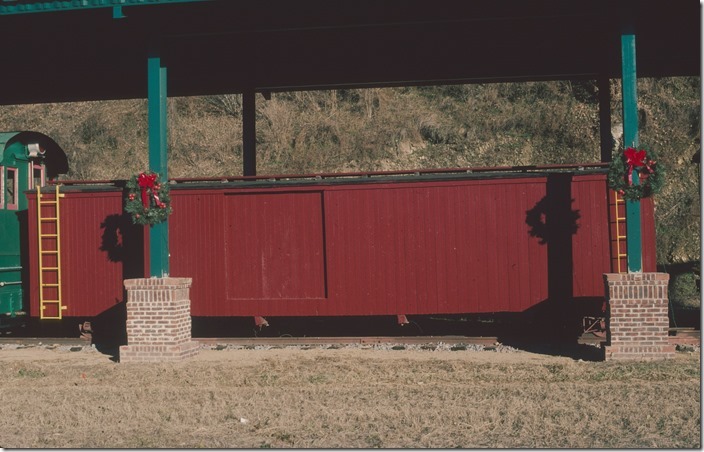 A former ET&WNC boxcar used on the famous narrow gauge part which extended to Boone NC. 11. East Tennessee Ry. 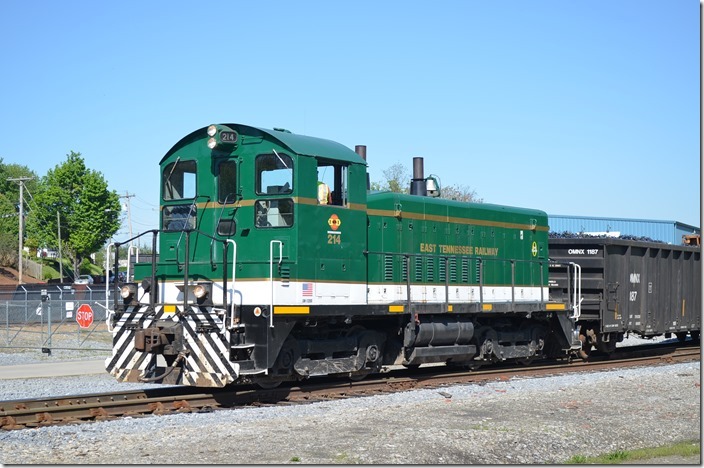 SW-1200 214 switches a metals recycling facility at Johnson City in April 2015. ETRY is now part of the Genesee & Wyoming family. ETRY SD1200 214 Johnson City TN.